The Sacramento-San Joaquin Delta is the West Coast’s largest estuary. It is a unique resource of local, state and national significance. Is home to more than 500,000 people. Contains 500,000 acres of agriculture. Provides habitat for 700 native plant and animal species. Provides water for more than 25 million Californians and 3 million acres of agriculture. Is traversed by energy, communications and transportation facilities vital to the economic health of California. Supports a $400 billion economy. But this heartland – our state’s economic engine, chief water source and a natural treasure – is in trouble. Current uses and environmental conditions are not sustainable. We must act now to secure the future of this vital resource. Environmental conditions and the current Delta “architecture” are not sustainable. Current land and water uses and related services dependent on the Delta are not sustainable based on current management practices and regulatory requirements. Current environmental conditions and current and ongoing services (e.g., utility, transportation and water conveyance services) are reliant on an aging and deteriorating levee system. Major “drivers of change” that are largely outside of our control will impact the Delta during the coming decades, including seismic events, land subsidence, sea level rise, regional climate change and urbanization. The current fragmented and complex governance systems within the Delta are not conducive to effective management of the fragile Delta environment in the face of the cumulative threats identified above. Failure to act to address identified Delta challenges and threats will result in potentially devastating environmental and economic consequences of statewide and national significance. Click here to download a fact sheet (PDF). Wildlife: 52 mammals, 22 reptiles and amphibian species, 225 birds, and 54 species of fish. The Delta is also home to approximately 260 invasive species of plants and animals. 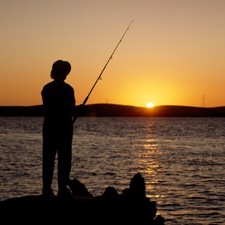 * Before fishing in the Delta, always check with the California Department of Fish & Game for regulations regarding particular fish species and specific license requirements for the region. Click here to view the California Department of Fish & Game’s map of the Delta Region. Click here to download more maps of the Delta Region. The Delta supports a $400 billion economy.